This tracker allows you to assign class participation points to students. There are spaces for 20 students and place to list points for behavior and focus, and a column for their total points for the week. This is adaptable to many different systems. For instance, I give one point per day for behavior and one for focus; this adds up to ten points total for the week. 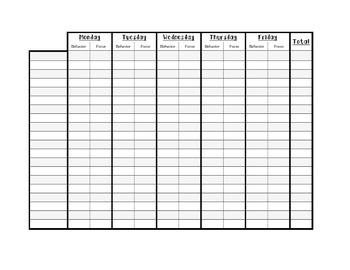 Just print it out and get started tracking today!